iSkateBoard is not your typical skateboard iPhone application. It is a comprehensive skateboard directory made by skateboarders for skateboarders. That’s right. You are not buying a game. You are buying a network of skateboarders from around the globe. iSkateboard is really an application to help you network with other skateboarders and find street skate spots, skate-parks, and skate shops. There are over 30,000 locations available with this application. Whether you are looking for shops or just a place to skate in your area, there is a good chance you’ll find a place near you. As you can see in the above screen-shot, you have access to news feed from major skate media such as Transworld and Fuel TV. 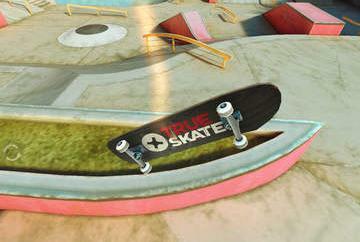 You can also add to skate spots available by adding those which are not already in the database. If you are a skateboarder or just interested in the real thing, you are going to have a lot of fun with iSkateboard.